The New Malden World of Golf centre is easily accessible from both Central and South-West London. Instead of just hitting balls aimlessly into the yonder, at World of Golf London you can practice with a purpose. The TOPTRACER Launch monitor function provides detailed analysis of your accuracy, trajectory, ball speed and distance, and displays the information instantly on a 15 inch LED screen at the front of each bay. No more guessing at your rate of improvement. Look up and it’s right there before your eyes. 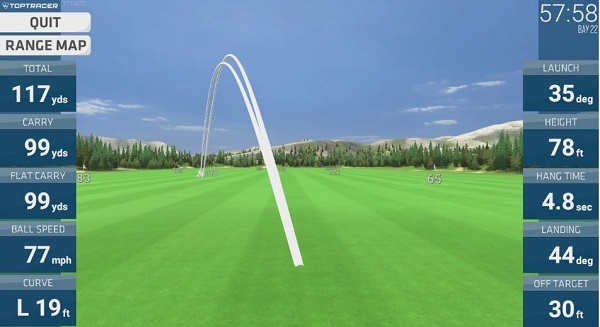 Bring an element of fun to your practice by playing the TOPTRACER target golf game. Each shot you hit is converted to points according to distance and accuracy. Play on your own, against a friend or in teams. 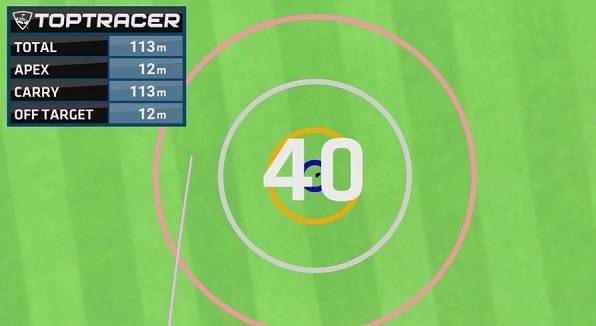 Will you score better by aiming shorter and being more accurate, or do you need to play longer and score more to win? Only you can answer that. Game on! NOW WITH 9 COURSES TO CHOOSE FROM! 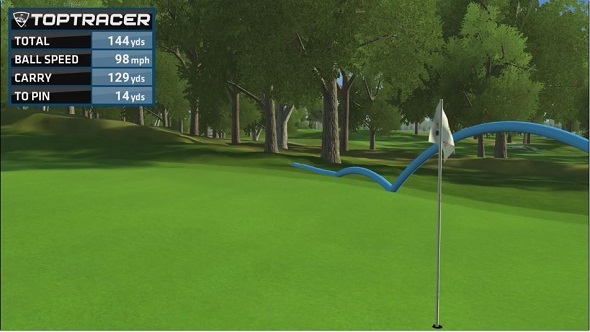 With TOPTRACER, you can now play a real round of golf! Choose from a selection of 18 hole courses, which re-create the sensation of the fairway and the putting green, without leaving the bay! Enjoy all the excitement and drama of a real round, in a fraction of the time and in any weather. As you arrive on each tee, you must decide which club to take. Do you need the driver, or will a shorter club put you in a better position on the fairway, away from the traps? 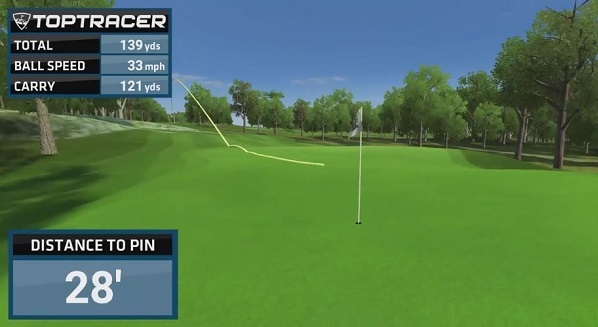 TOPTRACER will follow the trajectory of your tee shot and tell you all about your next shot. Club selection is vital, just the way it is on a real course. Two ball, Four ball, on your own? It’s up to you. World of Golf London is now your home course. 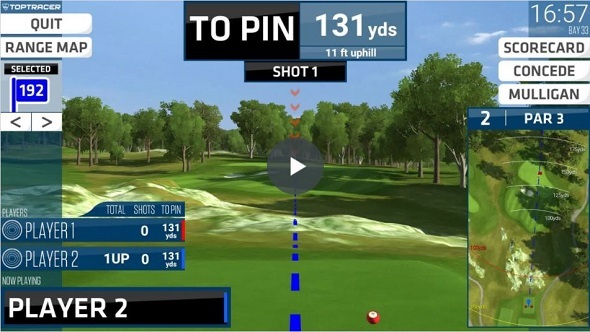 TOPTRACER was originally developed by Swedish scientists for television to show viewers the flight path of golf shots, the yardage and the distance the ball ends from the target.